We at First Stop Fencing supply a range of fencing materials allowing you to get all the materials in one place. Our posts and stobs page displays our full range in this category . All fences requires either a post or stob, and all are strong, durable and are all pressure treated. 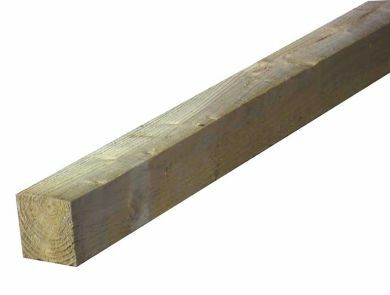 Sawn, planed, pointed, round, square, grooved - we stock all posts that you will need. Please ensure that you choose the correct post or stob. You can have a great looking fence, but it needs to well supported. If you're putting up a six foot boarded fence, for example, then you would need to use an 8ft 4x4 post.